I was inspired to make this hot chocolate after Cadbury's laid down the gauntlet on twitter to #CremeEggBake after the popularity of the creme egg brownie recipe. While not strictly a baking recipe this melty Creme Egg hot chocolate is just too good not to get a mention. I used a milk steamer for the recipe but you could easily heat the milk in a pan, it does mean you would loose the froth but you could easily whip up some thick cream or enjoy it without the frothy top. 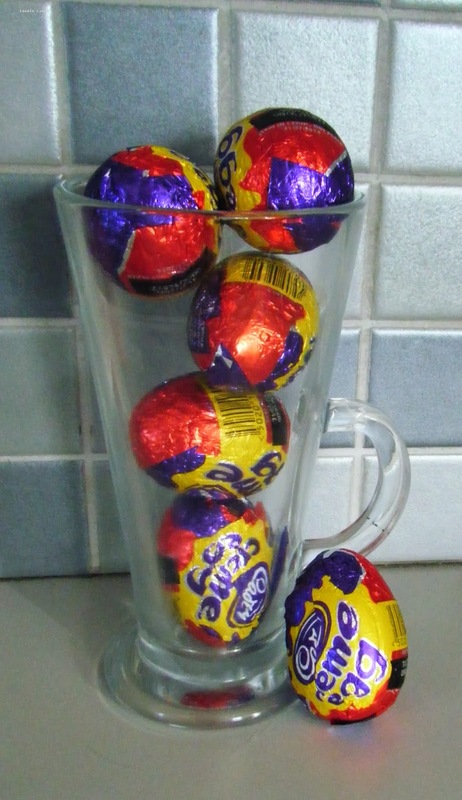 I mean this is melted Creme Eggs do you need anything more? 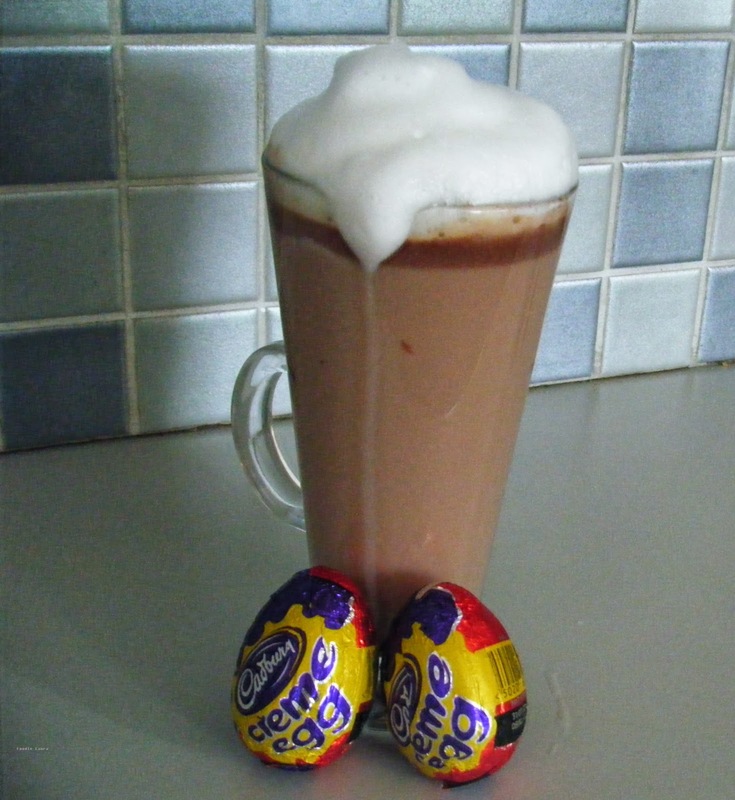 Pour the hot milk over the Creme Eggs (keeping back the froth) and stir it vigorously until the Creme Eggs melt. 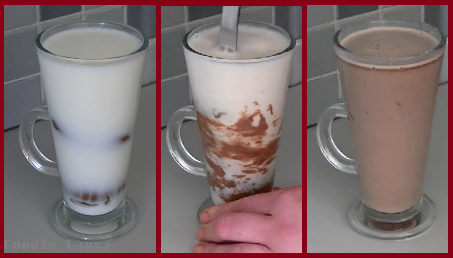 Spoon the remaining frothy milk over the hot chocolate.